Taboola and Outbrain have changed the game for advertising on the internet with ads driven by weird images. This novelty company had the idea first. 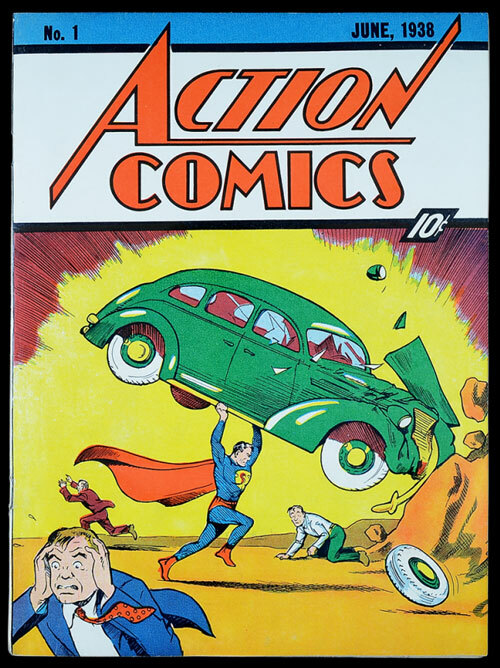 Everyone who knows anything about comic book history knows that the most valuable comic you can possibly find is Action Comics Issue No. 1, the comic book, released 78 years ago this month, that introduced the world to Superman. On the back page of that comic book, however, is the way that DC Comics paid the bills before Superman turned into a multimedia success. It was an incredibly messy ad, filled with literally thousands of words, that sold all sorts of insane products, ranging from a whoopee cushion to a live chameleon. 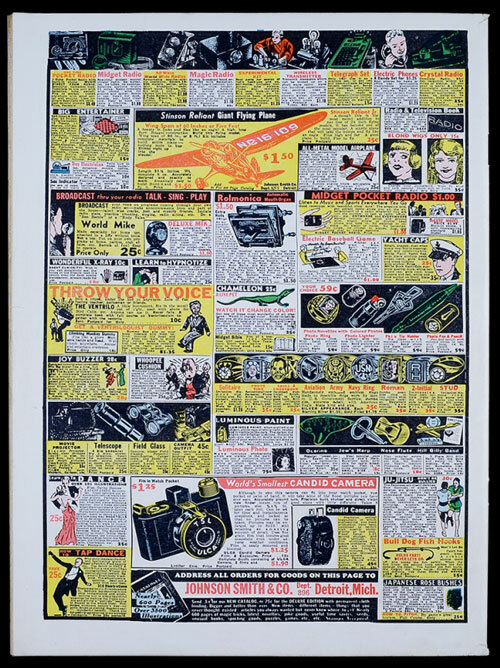 This page, and the millions like it that were printed through decades of magazines and comic books around the United States, represent the collective legacy of the Johnson Smith Company, a company that used incredibly dense, novel advertising to separate the 8-year-olds of the world from their hard-earned allowance money. The firm, founded in 1914 by an Australian novelty salesman named Alfred Johnson Smith, has been in business ever since, selling the kind of crass nick-nacks that have ended up on desks and in bedrooms ever since. Along with a few live animals, of course. The company doesn't really have a home—it's moved locations at least five times in its 102-year history, spending time in Illinois, Wisconsin, Michigan, and Florida. Beyond redefining advertising as a game of shocking images that relied on the reaction of the reader, the company also was notable for using its advertising to promote products they otherwise wouldn't need. Instead of clicking links, the public was sending cash in the mail and getting chameleons in return. What a life. 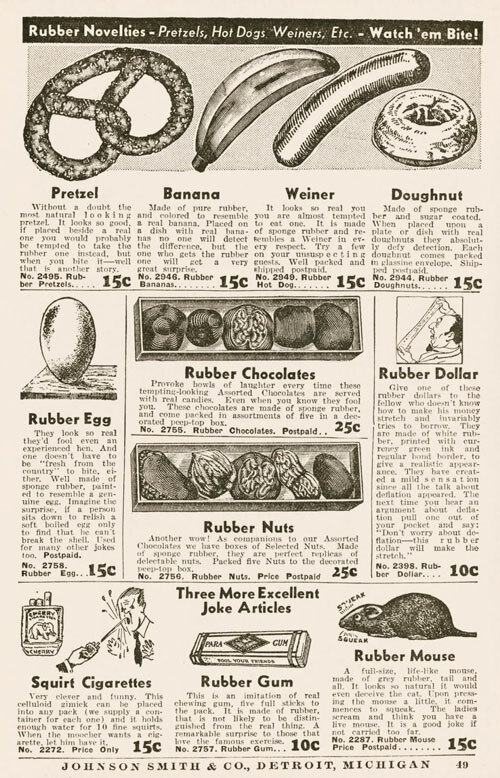 The amount that the Johnson Smith Company sold a "superior in every way" version of the iconic Whoopee Cushion for in the 1930s. (The version for the plebes cost a mere 25 cents.) The offering, which was invented by JEM Rubber Company of Toronto in 1930, was one of Johnson Smith's biggest early hits, thanks in part to its simplicity and effectiveness. “It gives forth noises that can be better imagined than described,” the device's tagline claimed. Tiny electronics. This was one of the earliest places you could find a portable radio, along with the miniature spy cameras that Bart Simpson loved so much. The smaller, the better. They even sold miniature bibles, just in case you wanted to read a book with type as large as you might find in one of the vendor's ads. Live animals. It wasn't just chameleons. They also sold baby alligators and frogs, and if you were in the market for a turtle with your name painted on the shell, Johnson Smith would do this for you back in the day. Considering the fact it was shipping these through the mail, they went out of their way to emphasize the animal arrived alive. "We guarantee safe, live delivery on all pets listed on these two pages," the 1938 catalog said, according to a scan on the blog Darwin Scans. Guns (yes, really). Early on especially, Johnson Smith was known for selling guns through the mail—sometimes weapons that only shot blanks, sometimes the real thing. The latter case got a Brooklyn man in trouble in 1927—according to a New York Times brief from the era, he got arrested at the post office. Useless guides. Want to learn magic, throw your voice like a ventriloquist, get the hang of a musical instrument in an hour, or learn to secrets to getting rich quick? They frequently sold products just like these to a sucker every minute. Farting fanny banks. Something of an upgrade from the whoopee cushion of yore, this coin bank came about somewhat recently, as part a result of a deal Johnson Smith made with NBC to promote its 2010 show Outsourced. The show was a single-season wonder, but the farting lives on. "We find that these articles are advertised along with other novelties. We further find that the catalogue obtainable through the advertisement has on its cover a large bull whip." 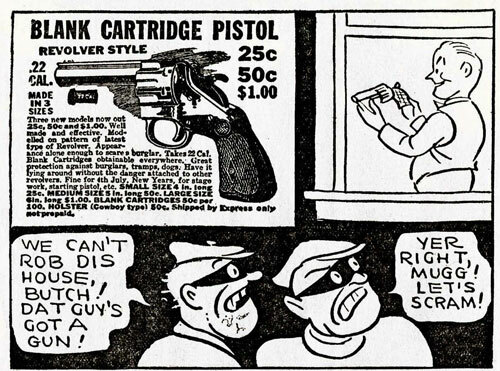 — James A. FitzPatrick, a New York state assemblyman, raising concerns with the weapons being sold in Johnson Smith ads and catalogs in 1955, just a year after the Comics Code Authority (CCA), the industry watchdog that played censor for comic books, came into being. Charles F. Murphy, the first administrator of the CCA, argued that the whips and knives sold in these ads were unintentional oversights. "You need a magnifying glass to read it," Murphy said, according to The New York Times, in perhaps the most accurate statement ever put forth about Johnson Smith ads. Murphy's legacy is controversial among comic fans, but it's probably safe to say that selling weapons to kids isn't necessarily the best idea. The thing about catalogs of any kind is that they're full of products that earned a spot there—products that had to be sourced, distributed, and shipped. Johnson Smith probably didn't make a lot of the weird stuff in those catalogs, but it's aware of what matches its weird sensibilities. If this is what they picked up, just imagine what they wouldn't touch. The company's early catalogs—particularly those that ran between the 1930s and the 1970s—were full of weird novelties and dumb jokes. But in some ways, they also highlighted the edges of society. There was the tinge of racial and ethnic humor in some of the items they sold, for example, sometimes even sexual overtones. As a culture, we hadn't quite gotten a handle on how to handle weird or questionable imagery—beyond the X-ray specs and the spy cameras and all that other stuff. This was the era of the "Tijuana bible," the handheld pornographic comic books that were big during the Depression era. 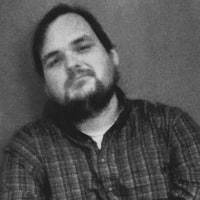 In some ways, Johnson Smith offered a seedier connection between the kid-friendly part of mainstream culture exemplified by the comic books and Mad Magazine issues their text-heavy ads showed up in, and the more mischievous parts of our culture we struggled to deal with at the time. In other words, we didn't have a private browsing option like we do now. In a 1970 Life Magazine commentary on the Johnson Smith company's 1929 catalog (which had just been released as a book, warts and all), noted essayist William Zinsser hinted at this dichotomy, how the catalog sold "garter inspectors" and joke books targeted at mocking Jews and Italians. But Zinssner contextualized the piece in the then-modern era and came to a surprising conclusion: these novelties softened the edges of the scary stuff, and they were perfect alternatives for protest in a period when the Kent State shooting was still fresh on the minds of the public. "I see the catalogue as a political handbook for the 1970s. Its amiable weapons of shock and protest are just what we need to de-escalate violence," he wrote. "We are numb from too many extreme solutions that were no solution—students shot, leaders killed, buildings blown up. The scale is too big." These products, unusual as they were, were ultimately harmless. So, reading all that, you might be wondering: Where does Taboola fit in? I think it comes down to the kind of images the company highlights, as well as where the links go. 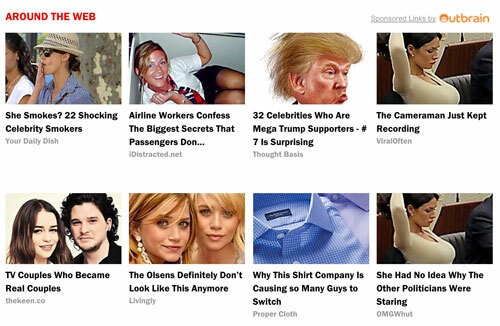 Taboola has created out a way for low culture and high culture to coexist, to interact without touching, to allow anyone with a budget to sell their products, no matter the quality, on the same page where the Big Important Story is. These images, however fleeting they are, play with our emotions, our innermost desires, our sense of humor, our sense of disgust, and most commonly, our fears. And when you click on the "one weird trick" link, as former Slate writer Alex Kaufman did in 2013, the ensuing site ultimately attempts to convince you to buy something you don't need. Johnson Smith was at least somewhat direct about its goals. And while Taboola and Outbrain are well-designed platforms that are cognizant of their respective reputations, the challenges around that reputation lead some to believe that they have the potential to damage respected brands. Johnson Smith and its ads didn't reach high culture like Taboola has, but they showed up in firmly middlebrow fare like Popular Mechanics, Field & Stream, and Boys' Life. The firm still exists today, though with an online-focused strategy that's adapted to the modern climate, and has split its many sales offerings into a number of online stores. The company, having adapted with the times, is in a spot where it might benefit from Taboola or Outbrain ads. I admit that I'm afraid of what they'd do if they chose to sign up as an advertiser.